Decision Making in the Voting Booth? What does the Bible have to say about government, the selection of leaders, the issues of our day, and how a Bible believing Christian should use the Bible to evaluate candidates and their positions? Often the choices we have are not choices between right and wrong or good and evil. Sometimes these choices are between good and better and sometimes the choices are between bad and worse. How are we to decide? What are the fundamental, non-negotiables Christians must use in evaluating civil leaders? 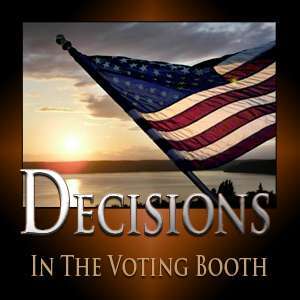 To view all video Bible studies in the Decision Making in the Voting Booth series, click here.